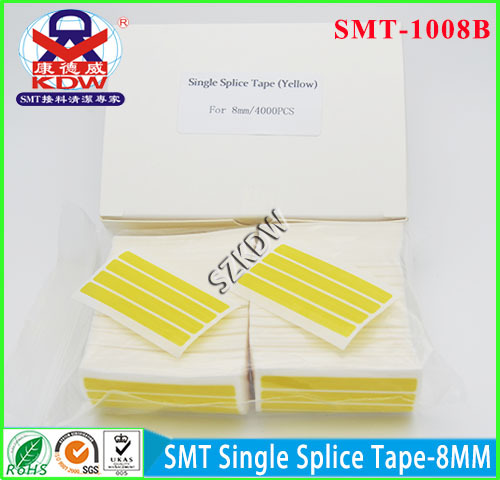 SMT-1008 is a high quality SMT Splice Tape with high-holding adhesive tape to ensure best adhesion. SMT Single Splice Tape that can be use for Siemens, Panasonic, Sanyo, Samsung, Hitachi, Universal, Juki, Fuji and Sony machines. KDW 10 series Esd Single Splice Tape is available in 3 different colors. You can choose from blue, yellow and black color. You can choose from blue, yellow and black color. Using the four color can help tracing back transfer of responsibility for operators. Looking for ideal Quality SMT Splice Tape Manufacturer & supplier ? We have a wide selection at great prices to help you get creative. 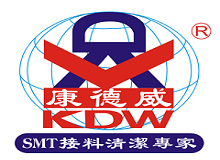 All the SMT Tape Splicer are quality guaranteed. We are China Origin Factory of 8mm Single Splice Tape. If you have any question, please feel free to contact us.